Hooking ten, twenty, or even thirty reds a day is not uncommon during peak season. These 7-12 lb. silver missiles are considered the highest-grade eating salmon in the world, and we’ll make sure you have a freezer full to take home. Combine this with a very liberal limit and it is easy to see why sockeye fishing is so popular. It’s a great opportunity to harvest some incredible wild salmon. Make no mistake though, you won’t be alone. Sockeye are so popular that you will likely not be the only red fisherman on “your” gravel bar. In fact, if the reds are “in” you may have fellow bank anglers above and below you, all working together in sync to hook and land these wonderful fish. 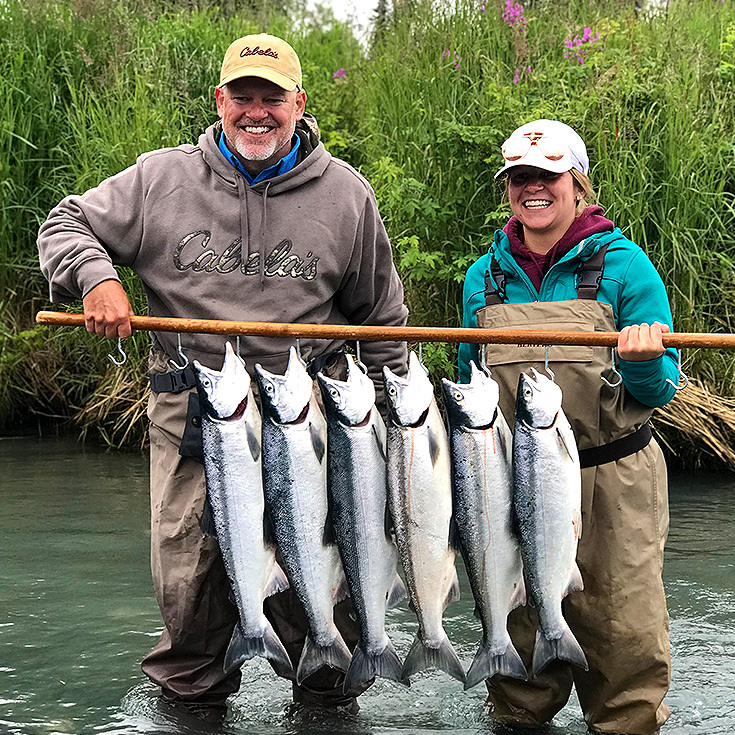 It’s a highly social fishery that is perfect for beginners, families, or even experienced anglers who wish to get away from the slow, serious nature of trophy king fishing. Like all salmon fishing, location is critical to success. 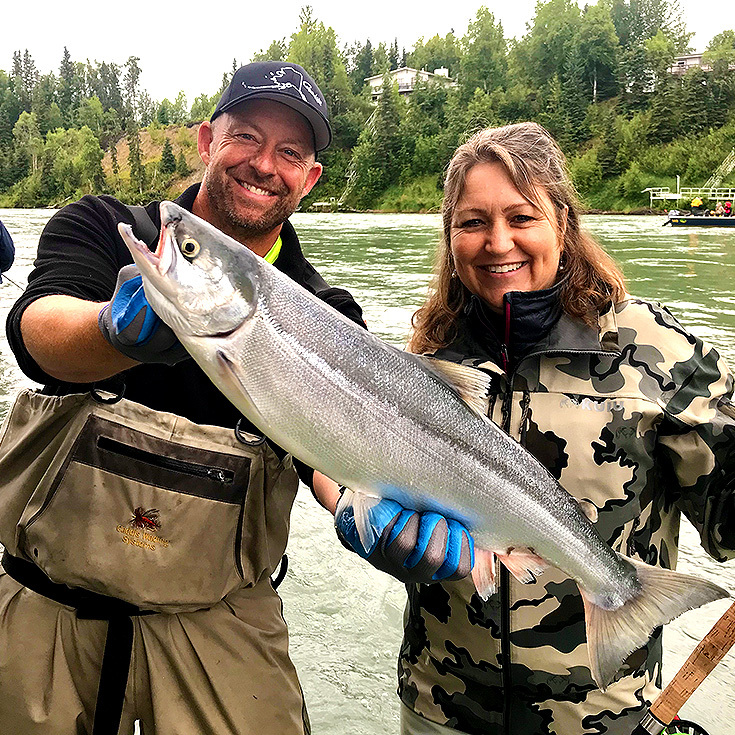 Our guides utilize custom Willie Boat river sleds to locate prime, remote gravel bars where the fish concentrate and travel tight to the bank. Wading knee deep with you, your guide will teach you the specialized technique necessary to hook these up-stream beauties. The methodical “flip-drift-sweep” technique is easy and effective, once our guides teach you how to do it. 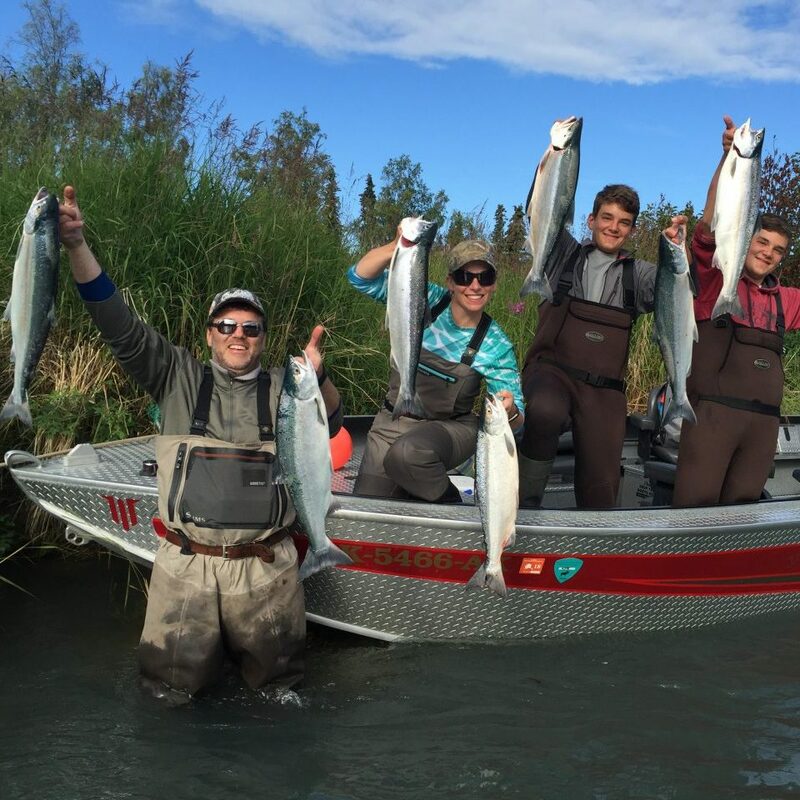 Don’t get hung-up on the semantics of sockeye fishing; just prepare yourself for tons of fun! 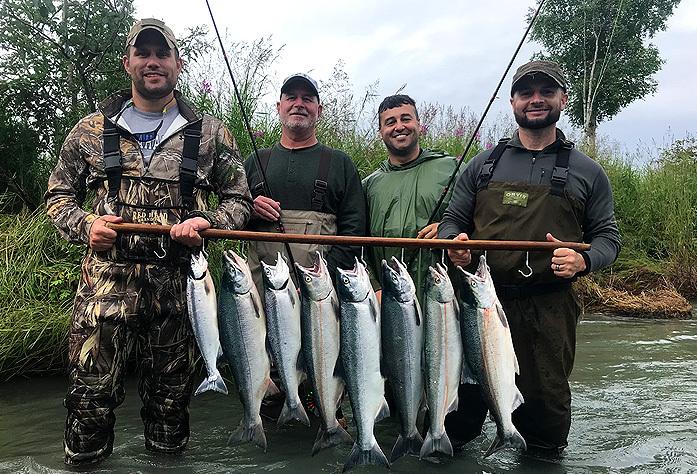 It’s a great fishery for those that want a high success rate charter for one of the hardest fighting, best eating salmon Alaska has to offer.